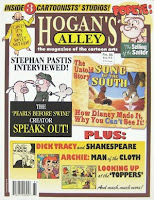 Kleefeld on Comics: Free Comic Book Day... From Home! So maybe you're a teenage who doesn't have access to a car or maybe you're out traveling on business and are in the middle Russia for the next week or three. But in any event, you'll find yourself unable to attend a comic book shop participating in Free Comic Book Day. Never fear! We have other free FCBD offers available for you! Next, I'll point to some free PDF downloads from Lone Star Press available through Wowio. They have the first issues of SideChicks, Heroic Tales, Force Seven, Ex Parte and Ace of Diamonds available through the weekend. 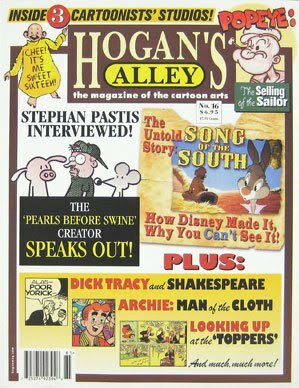 Finally (at least as far as I know) you can get a free pulped wood copy of Hogan's Alley by sending an email ON MAY FIRST to hoganmag AT gmail DOT com. They emphasize that it has to be on Free Comic Book Day itself and that "Before and after that date, any requests for freebies will receive only scorn and derision." UPDATE: I knew I was forgetting something else I'd seen. Jabberwacky will also be available as a free PDF download from Wide Awake Press on May 1.